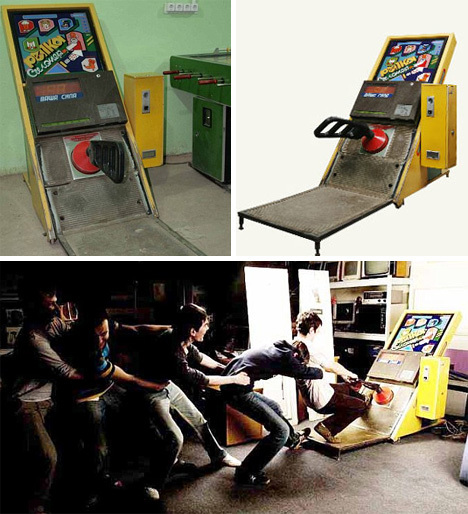 Communist Arcades: In Soviet Russia, Game Played You! Not everything about Soviet-era Russia was cold and gloomy – there was fun to be found at times. 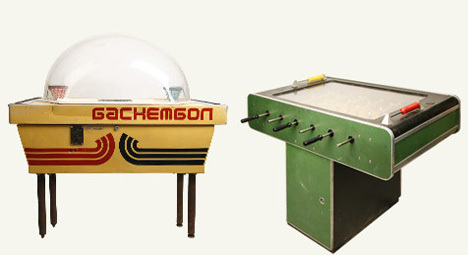 Like in these arcade machines which used to grace the (probably) dark and depressing arcades of Mother Russia but which now reside in the Museum of Soviet Arcade Machines. Although they look familiar, they are far removed from the flashing, beeping, high-energy games that kids in other countries grew up with. The subject matter is one of the most noticeable differences. While we in America had games in which characters used their bare fists to pummel opponents, Russian kids used the above game to pull on a virtual turnip. Repka Silomer was a strength-testing game based on an old children’s story about a turnip so large it took an entire family to pull it out of the ground. Strangely, a score of “old man” meant that you showed impressive muscle. The goal of another game is to collect sticks in an on-screen basket. 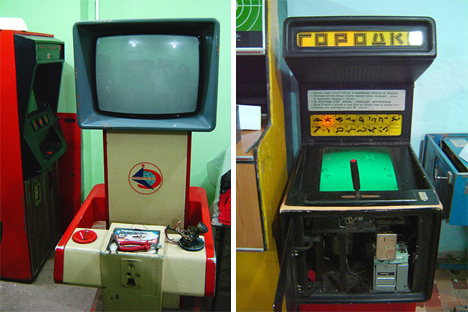 Many of the Russian arcade games were loosely based on the Japanese games being manufactured in the same era, with some significant tweaks. Even in skill games where a player accrued points, there were no “high score” lists. Most games didn’t encourage competition, although a few did allow for two players to play at once. Instead of the pleasure of seeing one’s initials on the screen, the games rewarded high scores with free plays. 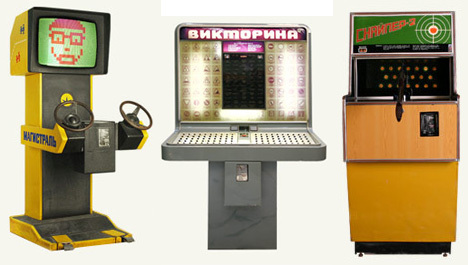 The Museum of Soviet Arcade Machines was created in 2007 by four friends attending Moscow State Technical University. They hunted through old warehouses and dusty basements, seeking out and repairing these Soviet-era gems to bring nostalgic joy to visitors. Appropriately enough, the collection is kept in a dreary old bomb shelter beneath an MSTU building. As of now they have over 40 machines, some of which work perfectly and others which can’t quite be restored to their glory days. 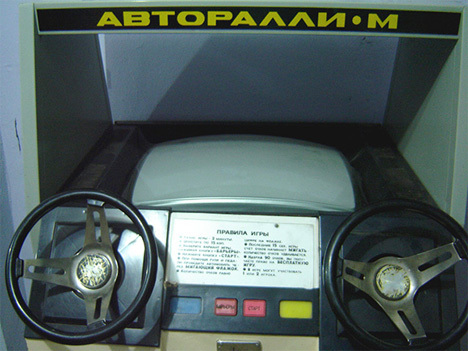 In most cases, Soviet games were destroyed or otherwise permanently disposed of once Western-style games began to hit the market in Russia. The models being collected by this unusual museum are among the last of their kind. The engineers who work to restore the games to working order often have to combine parts from several machines to get one to function – and since the appropriate parts are no longer manufactured, once the restored machines wear out the world will never see their like again. See more in History of Tech or under Vintage & Retro. December, 2011.